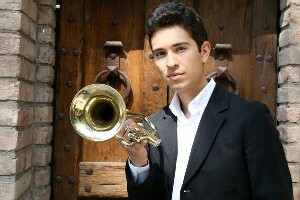 Trumpeter Robert Gastelum has been playing the trumpet for the last 15 years. He began finding his passion for music at a young age. First learning the piano, then the clarinet, and finally the trumpet, Robert eventually attended the famed Berklee College of Music in Boston MA. Finally, in 2006, he began his journey as a professional musician. Robert Gastelum has made a splash in the Bay Area, sitting in with many of the different Salsa bands. Robert now leads a band that includes some of San Francisco’s first-rate salsa musicians. He has also had the opportunity to sit in with one of the most famous Tejano singers of all time – Little Joe Y La Familia, and recently performed with Jorge Santana (Carlos Santana’s brother).